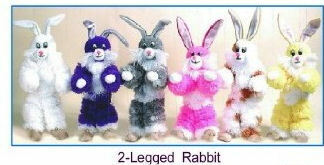 10" tall Bunny total marionette height with strings aproximately 24" to T-Bar. Bunnies come in different colors so enjoy their soft yarn bodies, as you play. Select color in options.